Large-Scale Projects (over €250,000) – Large-scale proposals require the four-page Concept Note, 15-page Business Case/Project Plan, and a 2-min video*. One MSF Operational Centre (OC) must agree to actively sponsor the proposed project, and at least one other OC must formally express its support prior to submitting the proposed project idea to the TIC for review by the Selection Committee. A Proposal Sponsorship Form must be completed and signed by both the OC sponsor and the OC support for the project. Signatories should be the OC Director General or the OC Board President. The TIC expects that the FinDir and iPMO teams have reviewed the proposal before final submission to the TIC. Incubator Ideas (under €250,000) – Incubator proposals require the four-page Concept Note, and a 2-min video*.Only one MSF Section’s support is required before submitting the proposed project idea to the TIC for review by the Selection Committee This can be an OC or non-OC Board. A Proposal Sponsorship Form must be completed and signed by one of the following: Board President, Board TIC representative or Director General. The 2-minute video should be regarded as an informational tool (rather than a marketing tool), to give the TIC Secretariat and the Selection Committee a quick overview of the project and a chance to introduce the project team. The 2-minute video is required for both large-scale and incubator (i.e., small-scale) projects that have been reviewed by the TIC Secretariat. For an example of a 2-min video that has been submitted to the TIC, have a look at the following link. Also, please use one of the following platforms to submit your videos: Vimeo, Prezi, YouTube or PowerPoint. All MSF staff and association members are eligible to submit proposals. This includes staff in the various headquarters around the world, expatriate and national staff in the countries where we operate, and any member of one of our associations (be it a national one, a regional one, or the International General Assembly (IGA)). Required for both Large-Scale Projects and Incubator Projects. Four-page limit for the Concept Note has been set. 15-page limit for the Business Case has been set. Note: The above mentioned page limits set for proposals must be followed. While accepted, the Selection Committee does not commit to a full review of any additional materials that are submitted (i.e., appendices). Please include all documents in one attachment, as a Word file. Submit 4-page Concept Note, along with 2-min video. 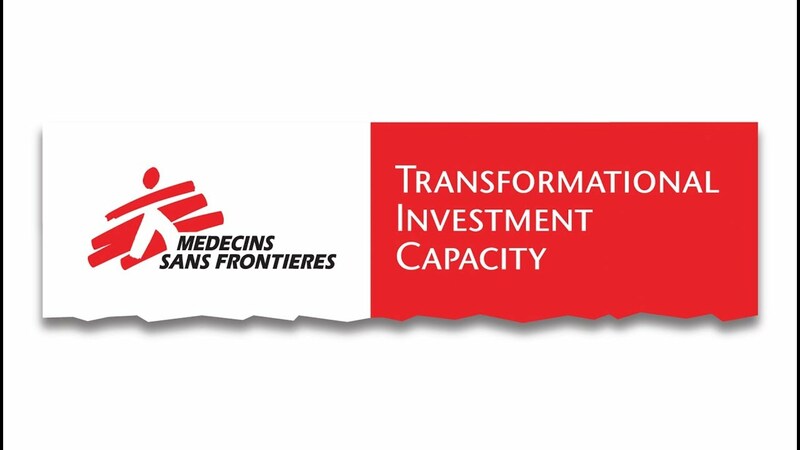 Ensure one MSF Section’s support/endorsement prior to submission. A Proposal Sponsorship Form must be completed and signed by one of the following: Board President, Board TIC representative or Director General. Submit Concept Note and Business Case/Project Plan, along with 2-min video. One MSF Operational Centre (OCA, OCB, OCBA, OCG, OCP) must agree to actively sponsor the proposed project, and at least one other OC must formally express its support prior to submitting the proposed project idea to the TIC. A Proposal Sponsorship Form must be completed and signed by both the OC sponsor and the OC support for the project. Signatories should be the OC Director General or the OC Board President. Once complete, please submit the required documentation to the TIC Secretariat at:TIC@msf.org. TIC Secretariat will provide a preliminary review of proposals. Written feedback will be provided to applicants within 2-3 days of the submission deadline. Applicants will be given approximately one week to revise proposals based on feedback, and asked to provide a 2-minute video (if not already provided). At this stage, Board/OC support/endorsement must be obtained. Selection Committee will evaluate proposals on an ongoing basis (every 6-8 weeks) against the criteria for selecting proposals and guiding practices. * Large-scale project teams will be asked to be on standby for a 20-min Q&A with Selection Committee. Applicants are advised to attend these sessions along with the project lead and executive project sponsor/support, if possible. NOTE: See dates and deadlines for a list of submission deadlines and Selection Committee review dates. Selection Committee members will read all Concept Notes for both incubator (small-scale) and large-scale projects. Only project leads assigned to large-scale projects will read the Business Cases. As the decision-making body, the Selection Committee will determine whether proposals are either: approved, not accepted or re-submitted (requiring additional work before re-submission). Final review and sign-off of Selection Committee recommendations on large-scale proposals will be provided by the Core Executive Committee. Calls with applicants will be set up to review Selection Committee feedback within one week of the Selection Committee and Executive Committee review. Follow up through written feedback will be provided to the applicant after feedback call. NOTE: Applicants are encouraged to attend these sessions along with the project team, supporters/sponsors, leads, etc., if possible. Click here to download a one-page summary of the TIC application process. If you have any questions or ideas for project proposals that spring up at any time, please let the TIC know. We are interested to hear from you and happy to guide you with your applications at any stage. Proposals may be submitted at any time. The selection committee will review proposals on a six- to eight-week cycle throughout the calendar year. Please note: While the Selection Committee has set dates for reviewing all proposals submitted, information about projects cannot be shared until the ExCom reviews the decisions and detailed feedback is first provided to applicants about their application. This process is done to ensure that the TIC review remains as inclusive as possible. Given this, it may take around 2-3 weeks after the initial selection meeting before updates are made to the website.